The name Wooten is synonymous with adventurous musicianship, not only in Nashville music circles but nationally and even internationally. As a musical ensemble, the Wooten Brothers rank alongside any family unit in recent history. While a formidable group when performing together, each brother can also stand on his own as a versatile musician. That is certainly true for Joseph Wooten, a monster keyboardist, arranger, songwriter and producer. He’s probably best known outside the Wooten Brothers as the longtime keyboardist for the Steve Miller Band. But he has an equally long and diverse set of other credits, including background vocals on one of Whitney Houston’s breakout early recordings. 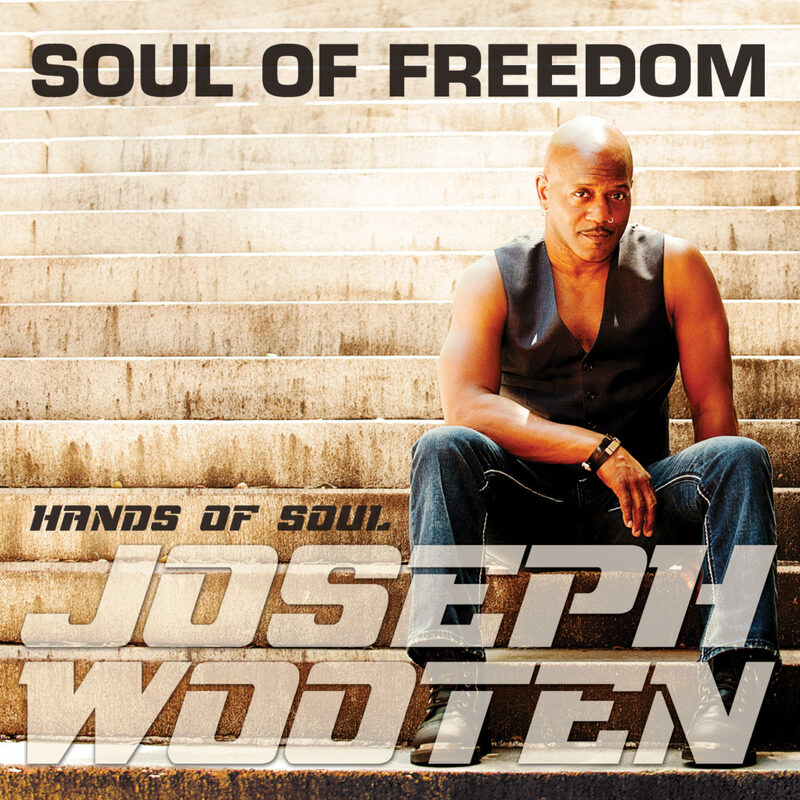 His new CD Soul of Freedom puts him in the spotlight as composer and bandleader, as well as instrumentalist and singer. He wrote 11 of its 12 selections (co-writing the other, “I Am A Champion,” with guitarist Paul Allen). The material has an energetic, urgent quality, with tunes that range from inspirational (“Soul Of Freedom,” “Not Just Religion,” “God Bless Everyone”) to assertive declarations of personal mission (“This Is My Life,” “I Matter”). Wooten’s assembled a strong band, with Allen joined by bassist John Billings and drummer Jessie Wooten (his son, and yet another gifted family member). His multi-Grammy-winning brother Victor puts in a sterling quest shot on “Unity.” But this is principally a showcase for Wooten’s dynamic keyboards, creative arrangements, and cohesive presence as he leads the group through a set that’s both uplifting and entertaining. Wooten spoke to the Scene recently about the project, his musical background, and the Wooten family legacy of musicianship. What initially got you interested in music? Of course Victor and I wanted to be part of what our older brothers were doing so we took his offer. He taught Victor and I how to play. At the age of 10 Regi was our music teacher. Both my parents were music lovers but not musicians. My mom loved Mahalia Jackson, Nina Simone, etc. My dad loved the Impressions, Mel & Tim’s “Backfield in Motion,” and the singing groups. We lived on a military base in Hawaii so there was all kinds of music playing on the radio. This was back in the mid ’60s, around 1966. Whom would you consider inspirations? I had many inspirations, not all musical. My parents were the first inspirations, especially my mom, who worked hard on our character. She was less concerned with who we were as musicians and much more concerned with who we were as people. She wanted to make sure that we had “firm foundations” and that we stood for something, that we were good examples. My dad was a great example of quiet consistency. He had a great sense of humor and is the reason that I like to make people laugh. Sly Stone, James Brown, Donnie Hathaway, and Curtis Mayfield are probably my biggest musical influence as an artist. As a songwriter, Sly and Stevie Wonder. As a keyboard player, George Duke for sure, and Art Tatum the pianist. We loved the Jackson Five because they were five brothers like us. Muhammad Ali, Martin Luther King, Pele, Bruce Lee, Michael Jordan were as big an influence as any, even though they were not musicians. You’ve played in one of the nation’s finest family bands for many years. How difficult is or was it to develop your own voice and sound? Keyboard players normally start out as soloists, especially if they have a classical beginning. And because of it, oftentimes we do not make the greatest ensemble players because we have been used to playing by ourselves. I was born into a band, so I have the advantage of being able to play with others because it is pretty much all that I know. All of my brothers are exceptional musicians, so we inspired each other to be better. We all played different instruments so there was no competition. The better the musicians know each other, the better that they play together. When you are brothers living in the same house, growing up together, it is quite the advantage. How do you feel about the growth and development of the musical community in Nashville over the years, in particular those playing in other styles besides country? I think that the level of musicianship has risen here in Nashville. Groups like Bela Fleck and the Flecktones and New Grass Revival have certainly raised the level of what traditional instruments are capable of. My brothers and I had a Wednesday night gig at 3rd & Lindsley for over 20 years that was also a part of pushing the envelope of what you can do on an instrument in this town also. My brother Victor has changed the way people approach the bass guitar here and all over the world. Jack White, Paramore, Kings of Leon, The Black Keys, etc., are all proof that Nashville is no longer “just” a country town. It never really was. Nashville is now the place to be. The television show Nashville has certainly helped to make the city more popular. I love being from this city. I always have. What advice do you have for those aspiring to a career in the music business? My advice is to strive for more than fame. Start with being a person of substance. The strive for fame is an empty one. Even if you achieve it, you find that fame is empty unless you have substance. Without a meaningful core you wind up with what you started with, emptiness. We are, in a way, crazy for insisting to pursue what we knowis a long shot. Yet we cannot be deterred or turned away. So if we do not reach our goals, we have no one to blame. We chose this life. But if our goal is to be substantive or meaningful, then whether or not we reach our goal of fame or notoriety, we will be successful. The meaning that we seek from the big picture that we hope for is available right here in the small picture that we have today. Without character, without self respect, without respect for others, without substance, reaching our goal will still be empty. Where do the ideas and inspiration come for the songs on this disc? I write from the heart about things that are important to me, and I love a lot of different styles. I always have more material than I can use, so I try to see what works well together, what will be a meaningful listening experience for the listener. As far as the performers, there are certain people that I love to play with, who know me, who I don’t have to explain where I am coming from musically because we know each other well. I always use my son Jessie on drums. He is very musical and already knows where I am coming from. He is solid as a rock! I use Paul Allen on guitar for the same reason. He is a very good guitar player, and very smart too. I can always bounce ideas off of him and know that I will get an intelligent answer. John Billings is a very good bass player and engineer. I have known him since he was a teenager, so again we have that musical camaraderie. Did you have any songs that didn’t make it onto the CD? I always have more material than I can record in one project, so there are always some selections that I would love to record that don’t get on the record. Before I start to record I have an idea of which songs I am going to use, but once you start recording, once you hear the material, your idea of which songs are best tends to change. The material had been gathered for years. “Life, Love, Truth” is easily 20 years old. “Nobody”, “I Am A Champion,” “Don’t Take Me Yet” were newer songs. “Unity” was recorded in 2010. “Soul Of Freedom” and “God Bless Everyone” were recorded 2-3 years ago. Any plans for a single? I probably won’t issue a single per se from Soul Of Freedom, but I do plan a video or two … Do you have a preference for a single? My choice would be the title cut or “Unity.” Will you be playing any dates to support the project? The only date that I have on the books that will support the record is on Dec. 11 of this year. It is my birthday/Christmas show at 3rd & Lindsley. I play with the Steve Miller Band and we tour quite extensively, so it is hard for me to be able to set up tour dates for my own music. Don’t miss the Dec. 11 show, though! The music is good — I get to play with my brothers too! Are there any other things professionally you’d like to do that you haven’t yet tried or done? I would like to publish the book that I am in the process of writing. Also. I would like to write and perform a symphony or Broadway [show]. I have a nutrition blog and plenty of philanthropic ideas that I have plans for in the future. Any musicians you would enjoy collaborating with down the line? Looking forward to collaborating with my brothers! I would love to record something with Stevie Wonder or Sly Stone one day. That is bucket list stuff! Are you writing more material for a followup to this release? Yes, I am. Writing as we speak! Finally. some musicians decide they need to move elsewhere because the type of music they prefer to play doesn’t get the support and audience here that they need. Do you have any plans to relocate? I have no plans of moving from this great city! I lived in Virginia for 18 years. I chose Nashville because my brothers had moved here and when I visited I could see the opportunity that a city like this offered. It was bigger than Newport News, Va, but not too big. I just like the feel of this city.